YOU CAN HAVE THE THEME PUT ON ANY BLANK AWARD OR CLOTHING WE SELL!! 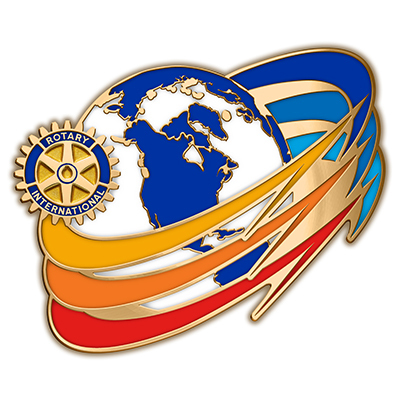 2016-17 Theme Lapel Pins - "Rotary Serving Humanity" - 1" gold plate. Trading Size Theme Banner - 12" x 9"
2016-2017 Theme banner. 12" x 9" trading sized banner. Podium Theme Banner - 26" x 18"
2016-2017 Theme banner. 18" x 26" Podium sized banner. Wall Size Theme Banner - 40" X 60"
2016-2017 Theme banner. 40" X 60" wall banner. Beautiful Silk Necktie depicts the 2016 - 2017 Theme! Depicts the 2016 - 2017 Theme! Cube - 2" x 2" x 3". Base - 2-1/2" x 2-1/2" x 1". Beautiful full-color theme cards with envelopes. Card measures approximately 5-1/2" x 4-1/8". 60% cotton / 40% polyester, 4.25 oz. oxford cloth wrinkle resistant blend.